What does my entrance fee cover? The £65 entrance fee will include a race cap, space blanket, reflective harness, refreshments and snacks at the start line and finisher’s meal at Event HQ. All riders will need their own third party liability insurance. For UK riders, this is usually covered by membership of British Cycling or Cycling UK. You will need to bring evidence of your current membership to one of these organisations to registration. If you have a separate insurance, you will need to bring along evidence of this to registration. For overseas riders, please ensure that you have travel insurance and that it covers you for taking part in cycling events. 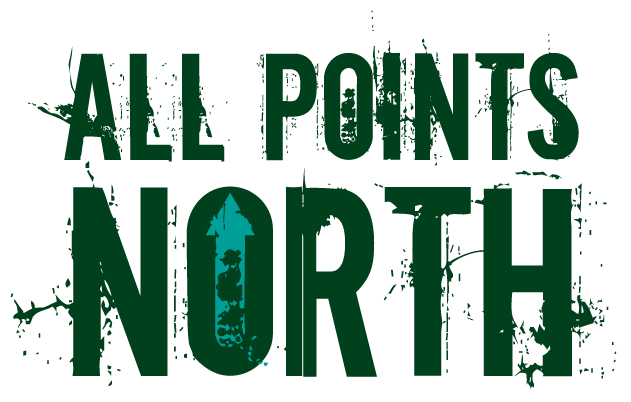 You can call us on +44 (0) 114 399 1100 or email us at ride@allpointsnorth.cc. During the event, riders will be provided with a mobile phone number to contact us on. How competitive do you anticipate the race to be? Will this be 50 cycle-gods clearing all 10 checkpoints in 27 hours, or will you create an environment to accommodate varying abilities? We’d like to open up the event to all those wishing to give it a go. The only requirement is that you understand the risks involved in participating in an unsupported, long-distance cycling event and have some prior experience of solo expeditions and/or similar endurance events. If you’d like to make it back in time for the finisher’s meal at 8pm on Bank Holiday Monday, you will have 72 hours in which to cycle between all 10 checkpoints. The Event HQ will remain open until noon on Tuesday, which gives you 88 hours in total, allowing you to ride at a steadier pace or have longer stops. In comparison, an Audax event would give you 75 hours for a 1000km event and you would also be required to follow a set route. This event allows you to plan your own route, which if planned well can be done in less than 1000km whilst still staying off busier, main roads. Will any of the checkpoints offer a place to sleep? Event HQ will offer a place to kip for riders that arrive back late on Sunday or Monday. There are no event organised places to sleep at the other checkpoints but Tan Hill Inn will offer use of their facilities and wild camping for £5. Will any of the checkpoints offer food? There will be food and refreshments at the Event HQ. There will be no food supplied at any of the other checkpoints. This is a fully self-supported event and so once you’re on the road, it’s up to you to source your own food supplies. Will there be cake and ice-cream? Refreshments will be provided at Event HQ only. If you’re looking for cake and ice-cream then please ensure that you plan a route that takes you past the best cafes! Will any of the checkpoints be staffed? Event crew will only be at the Event HQ at Heeley Institute. There will be no crew on the road or at any of the other checkpoints. If you need to cancel for any reason, as long as you cancel before February 24th, 2019, you will receive a refund minus a £10 admin fee. This provides us with a 12-week gap to offer the place to another rider and enable them to have enough time to train to take part. After February 24th we aren’t going to offer refunds as we think it won’t allow us enough time to fill the place and give the new entrant enough time to get ready, and we don’t really want to encourage unprepared riders to take part.